Painting is about the world we live in. Black people live in the world. My choice is to include them. This is my way of saying yes to us. 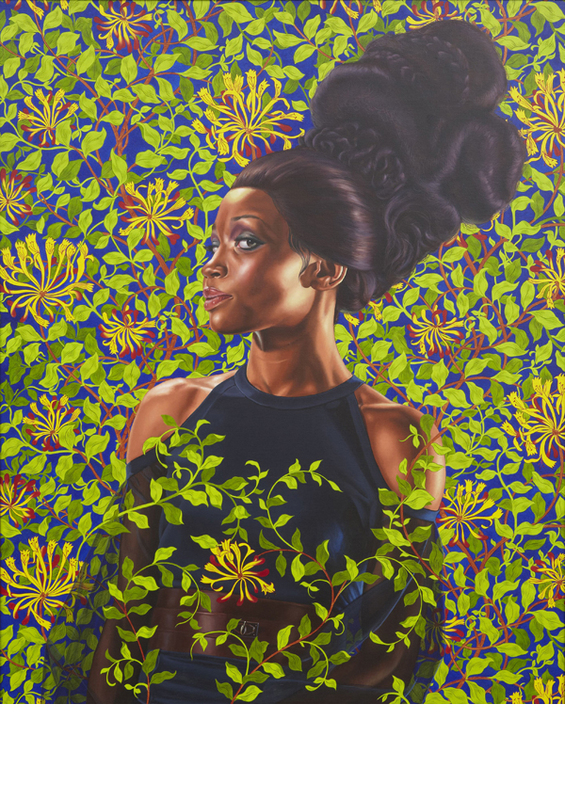 The Modern Art Museum of Fort Worth presents Kehinde Wiley: A New Republic, an overview highlighting the range of the artist's prolific 14-year career and comprising approximately 60 works. The exhibition begins with early examples of paintings inspired by Wiley’s observations of street life in Harlem; these images of African-American men mark the onset of his focused exploration of the male figure. In subsequent work, Wiley further examines the European tradition of portraiture, taking specific paintings by renowned masters such as Titian, Van Dyck, and Manet and replacing the historical subjects with contemporary, young black men sporting fashionable urban gear. These likenesses are set against ornate, decorative backgrounds on large canvases — part of Wiley's signature style — in order to raise issues of class in addition to race and gender. 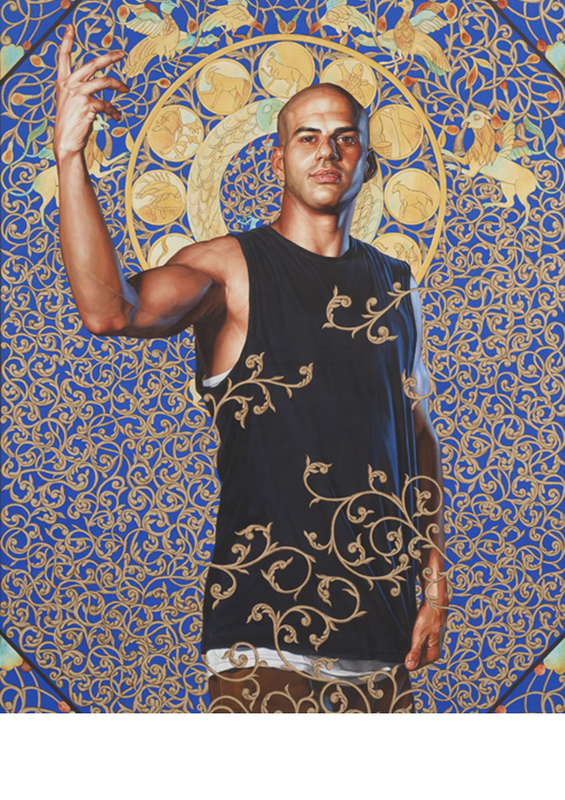 A New Republic also includes a selection from the artist’s ongoing World Stage project, examples of his bronze busts, and a chapel-like structure that showcases his new stained-glass "paintings." This exhibition is organized by the Brooklyn Museum and Eugenie Tsai, the John and Barbara Vogelstein Curator of Contemporary Art at the Brooklyn Museum and made possible by the Henry Luce Foundation and the National Endowment for the Arts. Oil on canvas 60 x 48 inches. Collection of Ana and Lenny Gravier. Courtesy Sean Kelly, New York. 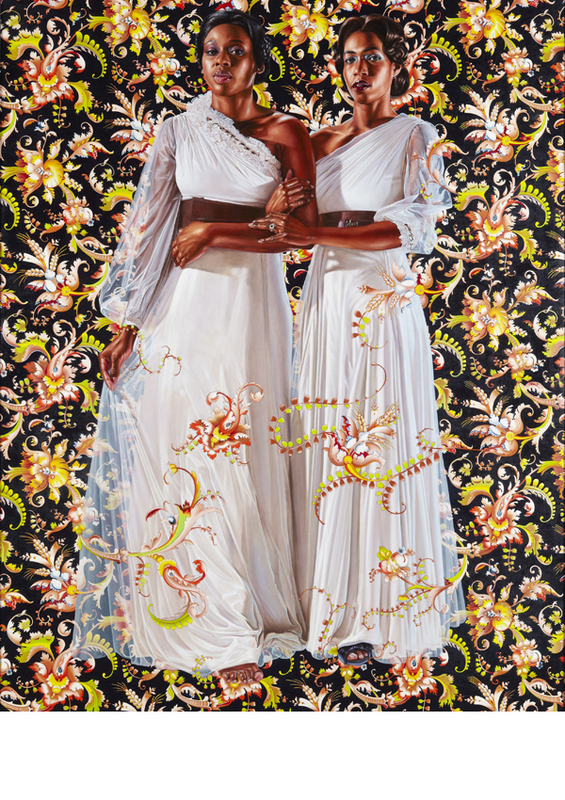 © Kehinde Wiley. 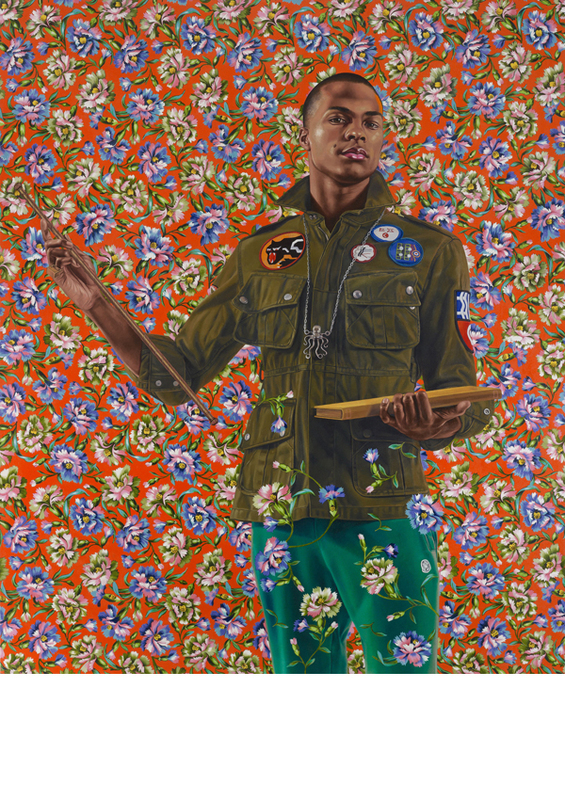 The exhibition catalogue for KEHINDE WILEY: A New Republic is available now in the Modern Shop. Featuring Ronnie Heart, Valise, Sam Lao, Kaela Sinclair, and Kirk Thurmond, with a special performance by the Fort Worth Opera.